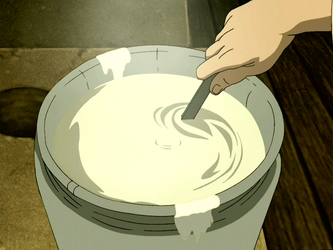 Fiction-Food Café: Jook (Rice Porridge) from "Avatar: The Last Airbender"
Jook (Rice Porridge) from "Avatar: The Last Airbender"
Shown in the opening scenes of "The Guru" (ATLA s.2, ep.19), Earth Kingdom Jook (called the same in real world Korea) is made by Uncle Iroh for the fever-recovering Zuko in their Ba Sing Se apartment. 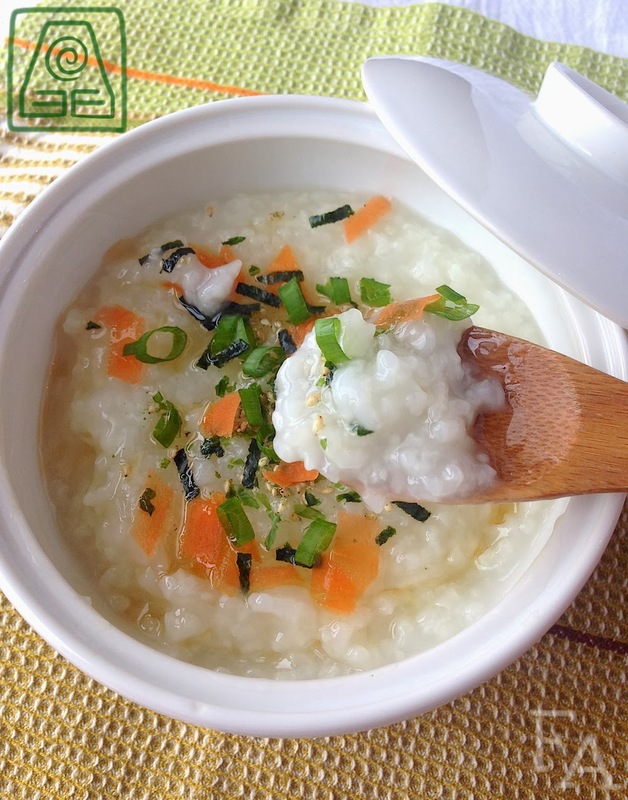 Jook or Juk is also known by other names throughout Asia, such as congee, and is a very common rice porridge dish often served at breakfast time, as well as to those who are suffering from an illness, because it is easy to digest. If you're familiar with Korean dramas, you may have seen it given as a get well dish for the characters or as comfort food (because that's how it is in real-life Korea!). 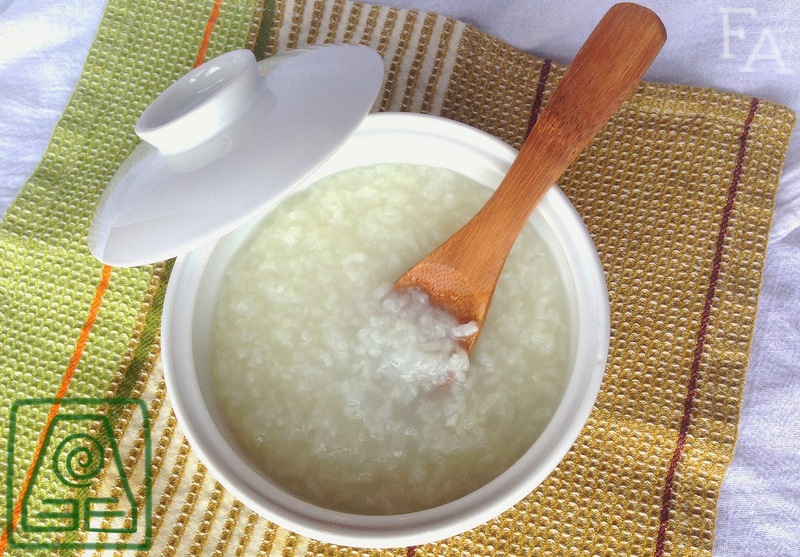 In its simplest form Juk is rice cooked in a large amount of water (to the ratio of rice) until the rice breaks down. The thickness and extent of rice-breakdown is dependent on preference. 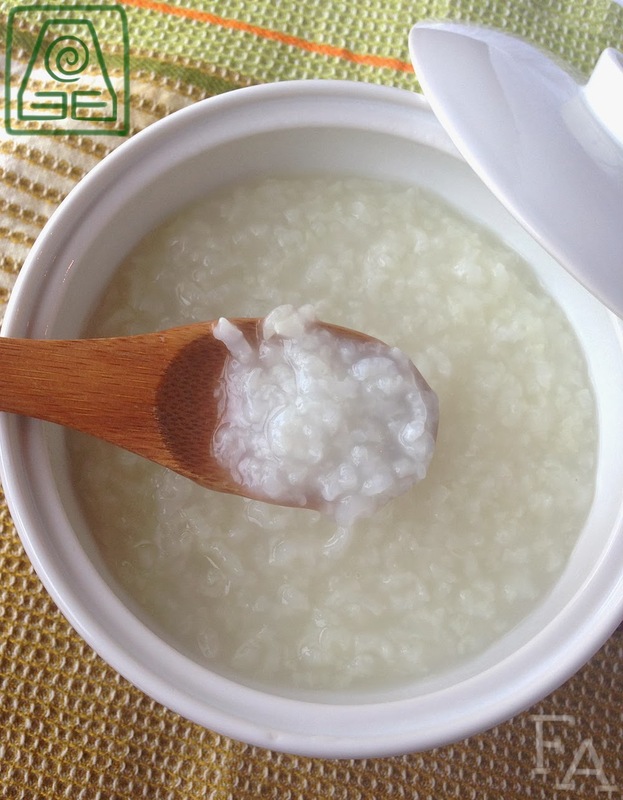 Because Juk is plain, it is often served as a side among more flavorful dishes, or can become a main dish by adding meat and other ingredients directly into the water and rice. 1. 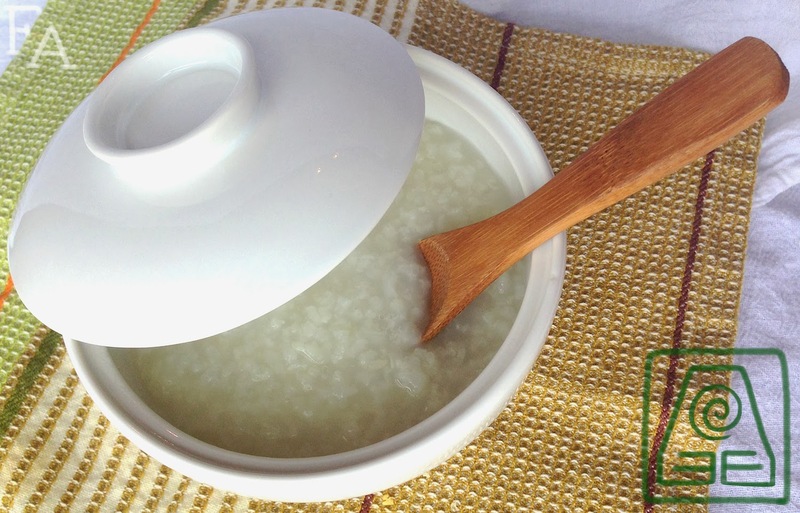 Wash the rice in cold water by rubbing the rice between your hands several times, & then draining the cloudy water. 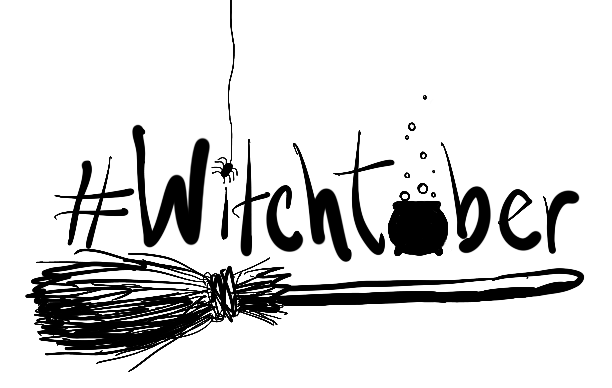 Pour the washed rice & 5 cups fresh water into a medium pot & bring it to a boil. Turn the heat to low & simmer for about an hour, stirring occasionally, until the rice has broken up & the liquid is thick & milky. You can add more water if you'd like a thinner porridge. Stir in salt & white pepper to taste, or sweeten it with a little sugar (optional). Leave plain or sprinkle on toppings of choice. Toppings: Drizzle of Sesame Oil, Nori Furikake, Carrot Shreds, Green Onion. can you use jasmine rice instead? Yes, you certainly can! Good question. THANK YOU SO MUCH FOR ALL OF THE AVATAR RECIPES!!!! 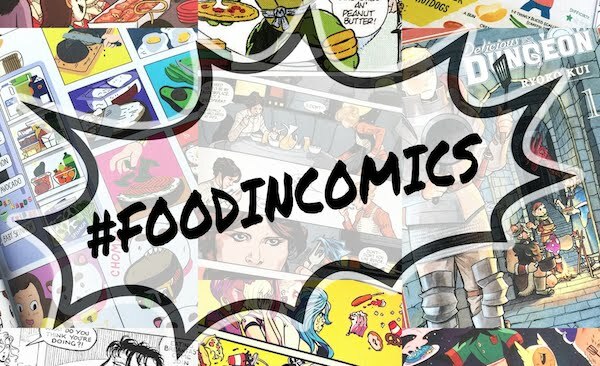 I WATCH IT EVERYDAY AND I ALWAYS WANT TO BE PART OF THEIR WORLD AND ALWAYS WISH I COULD EAT THE THINGS THEY EAT, THANK YOU SO MUCH!